There is a great turnout in Barcelona! Every month new outstanding hotels open. Fierce competition has driven quality upwards, forcing the oldest establishments to undergo drastic restoration. 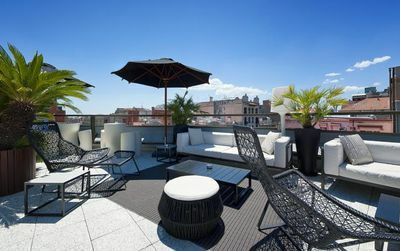 New decorations, designer objects, trendy bars and restaurants, fitness centres, delicious rooftop terraces, impeccable services and staff now place Barcelona at the top of the European hotel industry with an exceptional price-quality ratio. Some hotels make even more effort and show even more imagination in serving their guests. This is the purpose of this handmade selection: help you book only the best. 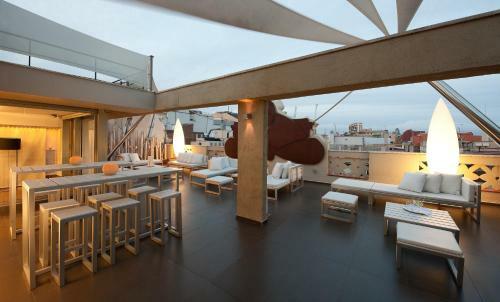 What to expect from best hotels in Barcelona ? A decoration signed by the best designers. Call them what you want: boutique hotels, design hotels, charming hotels, luxury hotels... Their common point is that they are all signed by the most award winning design agencies, architects or designers of the moment. As we know, Barcelona is a city that we like to watch from its roofs. Rooftop terraces, rooftop bars and even a rooftop swimming pool are to be kept in mind in your criteria. For your health, one will also choose hotels with fitness centres, wellness centres and even beauty centres. Finally, there are massage, saunas, spas and more classic musculation and sports rooms. It is not uncommon to find a Michelin-starred restaurant in our selection. But those who do not have stars often do not demerit with several restaurants in the same establishment offering a wide range of dishes from all over the world. Cocktail bars are all the rage, as are bartenders and mixologists who have become stars in the same way as Chefs. Finally, we think of the many parties hosted by Djs or real musicians. And always live music. Receptions open 24/7. But above all, teams who speak English perfectly and are used to your most frequent requests: order a taxi, an airport shuttle, rent a bike, find a guide to visit the city, find tickets for shows and of course book your restaurant. A treasure trove of tips that are invaluable when you discover a city. There are more than 38 5-star hotels in Barcelona. In this category of hotels, the highest, we are close to perfection: beauty of the place, comfort and perfect quality of services. However, we have chosen for this selection of the best 5 star hotels in Barcelona Spain only those that have the fabric of the old "Palaces" or those that have that little extra that will delight you during your stay: perfectly located in the city centre, views of the city, atmosphere, starred restaurants, great room comfort, design, roof terraces and even a swimming pool for some... Do not hesitate! 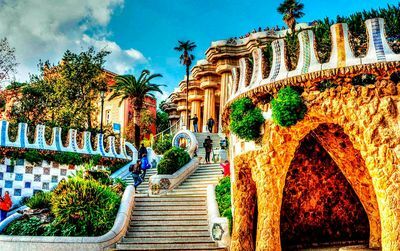 Some fragments of the old Roman wall of Barcelona, ​​the freshness of a green indoor garden, some beautiful objects and works of art, decoration ultra-design. Mercer is the five-star that will not leave you indifferent. Everything is bright and cozy, free from the perpetual excitement of the city and yet in the heart of the Gothic Quarter. You are only 10 minutes from Las Ramblas. 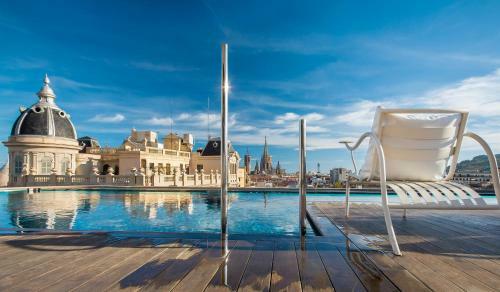 An unforgettable rooftop pool terrace! Rococo, baroque the Hotel Palace is a “figura” among the luxury hotels in Barcelona. Fine tapestries and thick fitted carpets, atmosphere is refined coming very close to the perfection and the calmness. Staff is just superb and food exceptional. You are next to most beautiful shops. 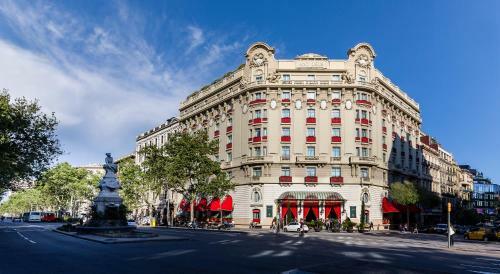 The history of Barcelona and The Hotel Palace go hand in hand. Salvador Dali required a room for the statue of its horse "You are not obliged to do so" The Hotel Palace is close to the lively Ramblas. Visit "Caelis" the 1 Michelin star restaurant to discover the last carta of the young and talented Chef Romain Fornell! 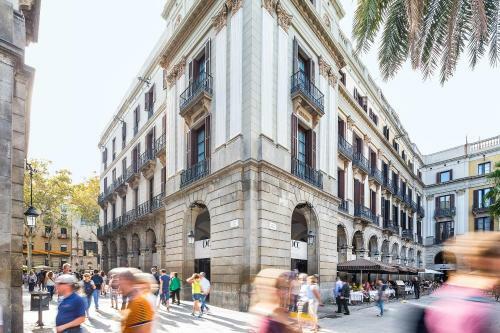 In the heart of Barcelona Hotel DO Plaça Reial has been renovated lately by famous architect Oriol Bohigas and by interiors designer Lázaro Rosa Violán. Ultra chic, ultra warm and contemporary this place will also please epicureans with gastronomic Mediterranean cuisine restaurants. Just DO it! Our choice here is only for hotels located in the city centre to make it easier to discover Barcelona on foot. 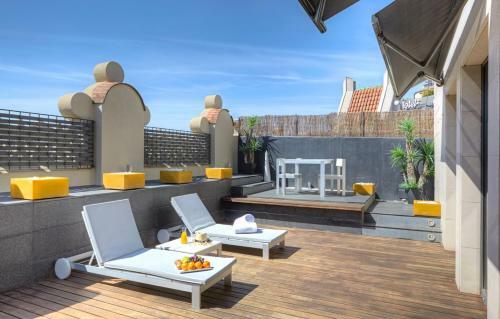 We also wanted to show you that in Barcelona the 4 stars can be of an absolutely surprising quality/price ratio considering the general facture of these places: superbly well decorated; animated in the evening, sunny on their terraces... A guaranteed dream! Warm welcome by professional staff is your first impression arriving at this 4 star hotel. 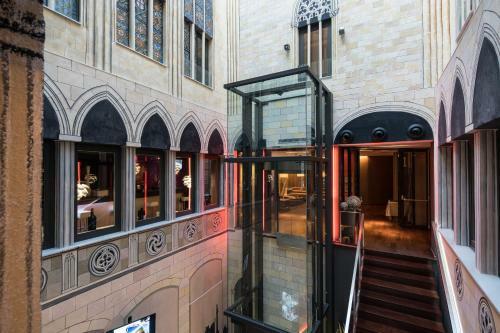 A just renovated modernist building, Catalonia Catedral Hotel is located in the heart of the Gothic Quarter of Barcelona (Barri Gotic). 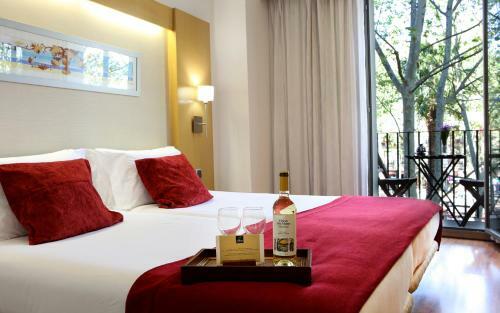 The hotel is by the Cathedral, Plaça Sant Jaume and the unavoidable shopping street of Portal de l’Àngel. After a day of shopping or cultural visits you will need nothing else that your new room with big shower. You can also enjoy a drink in the lobby bar or the international cuisine in the hotel restaurant even though we recommend other restaurants in Barcelona. 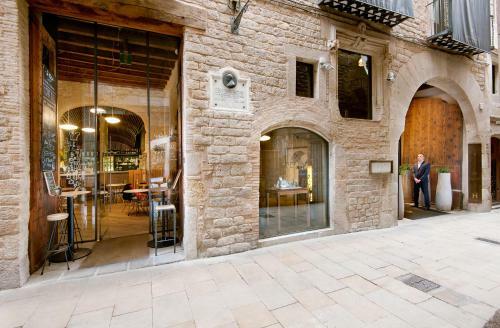 At the limits of the El Born area, the practical hotel K&K Picasso characterizes by its perfect location to visit de historical Barcelona areas. 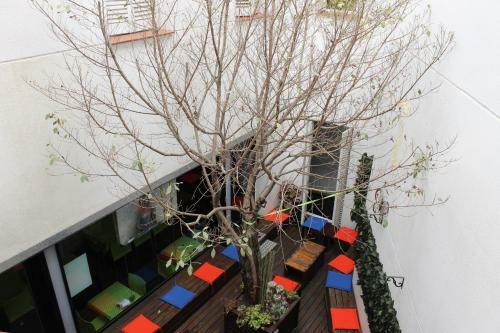 With a modern design, this hotel is efficient and pleasant . We like the quality of the rooms, the silence of its environment, the pool on the terrace offering greats views of the city and the attentive and helpful staff. Really practical. A four star hotel well situated in the Eixample. We appreciate on this design hotel the Spa and the little pool at the terrace, the charming cocktail bar and his excellent restaurant Le Gaig, one of the best tables in the city, renown by his traditional cuisine ( one Michelin star). The rooms are relatively small but very functional, perfectly equipped and definitively very comfortable. If you can, ask for the Privilege Suite, larger, offers a magnificent view of the city. Well ranked by our clients, we can only recommend it. 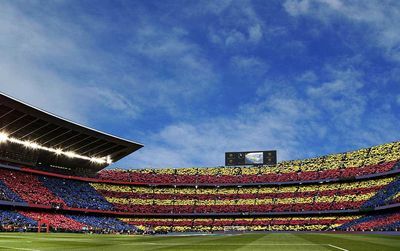 Be aware that the 3 stars can also be surprising in Barcelona. This category is of increasing interest to more and more travellers. The competition once again pushes hoteliers to surpass themselves to amaze you with magnificent decorations, services and events at the level of the greatest... This selection proves it with hotels located in the centre, nicely decorated and supervised by teams who will also be at their most attentive for you. 2 minute walk to the Ramblas..
A brand new hotel on the Rambla del Raval, that means a 2 minute walk to the Ramblas…A nice effort has been made to decorate the hotel and the rooms. 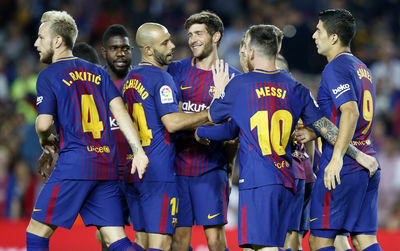 We are in a “Barcelonese” design, no big names but clean and pleasant. The rooms are relatively large. Why not ? Perhaps the range of hotels that has made the most effort in recent years. They are very suitable for families who prefer the beauty without compromising their holiday budget. From the decoration to the kindness of the reception, these " little hotels " by the price, now have everything to please and make your stay in Barcelona very pleasant! A little 2 star that’s well worth 3 stars. 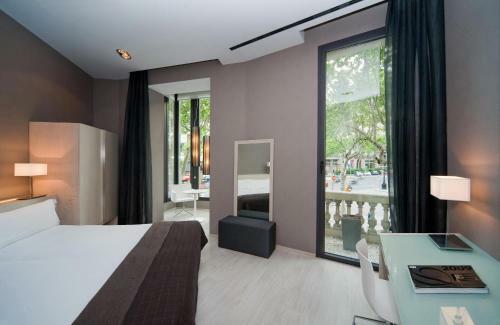 10 minutes walk to Plaça Catalunya, offers a minimalist decoration but with good taste. 14 comfortable rooms with batrooms. The personnel will treat you as real guests and at a very reasonable price. Urban ambiance, young and modern. Raval Rooms was design by BOPBAA, a reputable architect office (they have done the extension of the Thyssen-Bornemisza in Madrid). Urban ambiance, young and modern. Its basic but efficient. Every room has its bathroom and a suite that has even a terrace (adorable). All white and green, fresh and dynamic, and really not expensive….A good choice for a low budget ! I'm searching for a listing of best beach hotels in Barcelona ? The hotel Casa Camper is perfectly located and really cool. A great experience that made my stay a pleasure. Ohla was a perfection, in a great location beautiful service, nice room and a terrace where you want to stay all day long. love it. Viva espana. Hard to select an hotel but looks easy with you. thank you bcn! Always the same, it's difficult to find a good hotel. Real cool selection but you should put more 2 stars.